Okay, that’s clearly an overstatement. I have really enjoyed my three weeks traveling to Paris, Normandy, Strasbourg, and Marseille with our cross-cultural group. It’s been a great immersion into another culture. While my high school and college French didn’t get me to speaking level, it did let me read signs and menus while generally understanding the gist of conversations. And the time with the students and my friend Elisee has been incredibly rewarding. But I struggled to like the things that you’re supposed to see in Paris. 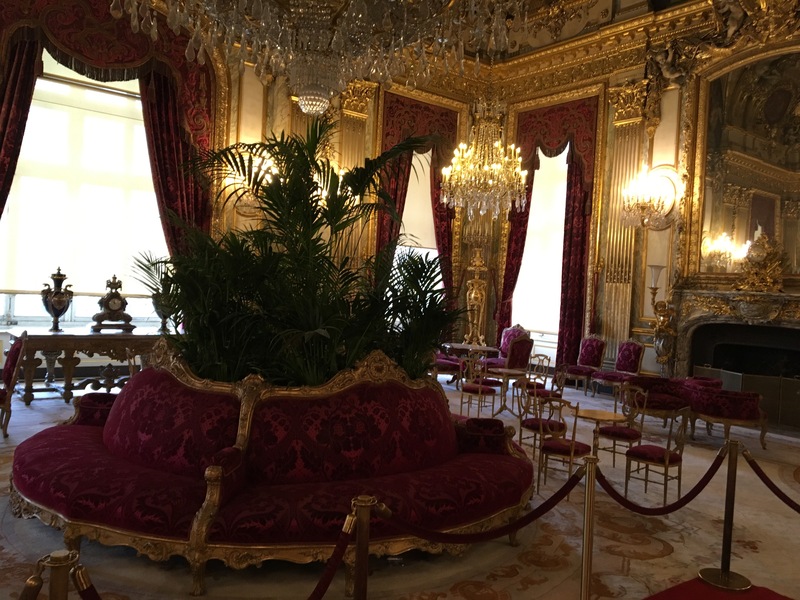 For example, during the Louvre tour you have the possibility of seeing Napoleon III’s “apartments”. As expected, there were lots of tourists with their selfie sticks taking pictures of the incredible decor. ﻿Maybe I’ve listened to too much Bernie Sanders over the last year, but my mind kept drifting back to the vast inequality that was built into French society in the 18th and 19th centuries. 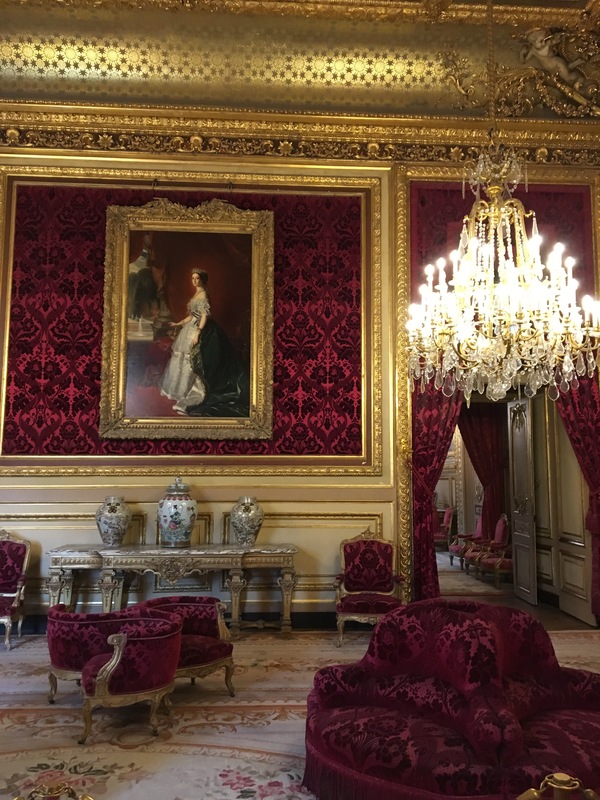 While Louis Napoleon, according to a book I was reading, did care for the common man, it’s clear that his priorities were on building an opulent life — and for that matter, an opulent France. Homes were demolished, parks created, magnificent buildings built. This inequality, combined with an unfortunate outcome to the Franco Prussian War, led to Napoleon’s fall and the creation of the permanent republic. Around the time of this transition, Thorsten Veblen argued that as economic inequality increases, the wealthy must embrace “conspicuous consumption”. In other words, they must demonstrate their enhanced social status by the obvious pomposity of their lifestyle. This was the subject of the 1980s television series “The Lifestyles of the Rich and Famous”. In my last post, I described the ongoing tensions in French history between the linkage of church and state and the free thinking of the republican movement. There is a similar tension between economic aggrandizement and political turmoil. I’m writing this from Charles De Gaulle airport, where the strike that has colored our time here didn’t spread to the airlines as feared. But the EU changes in the workweek are a direct expression of the contrast between the elites and the common workers. In my sociological theory class, we spend a unit on Conflict Theory. One of the dynamics that cuts across all theorists in that section is that conflict arises due to “relative deprivation”. In other words, there is a general sense that the rich are very different than you and me, as Fitzgerald observed. But when that difference becomes extreme in the eyes of those left behind, it open the door for conflict, especially when other means of addressing grievances fail. 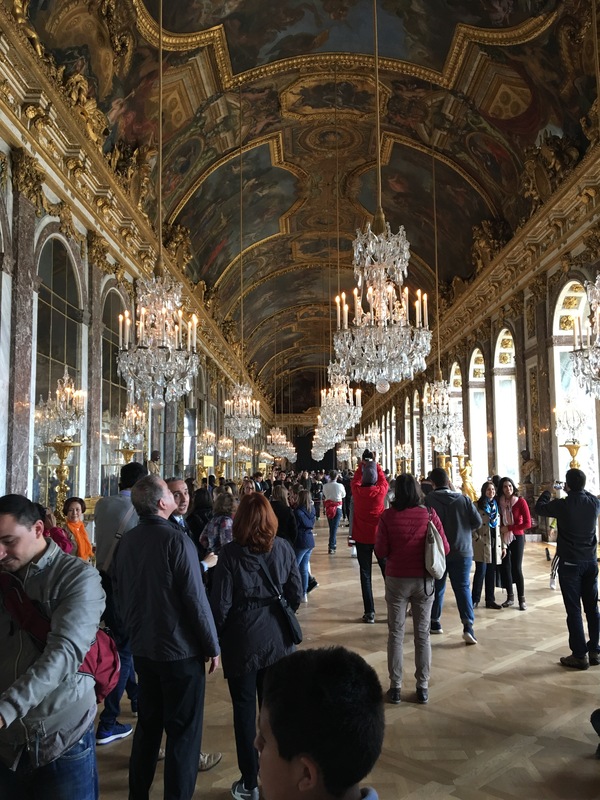 Yesterday, I toured Chateau Versailles, the “hunting lodge” Louis XIV built. 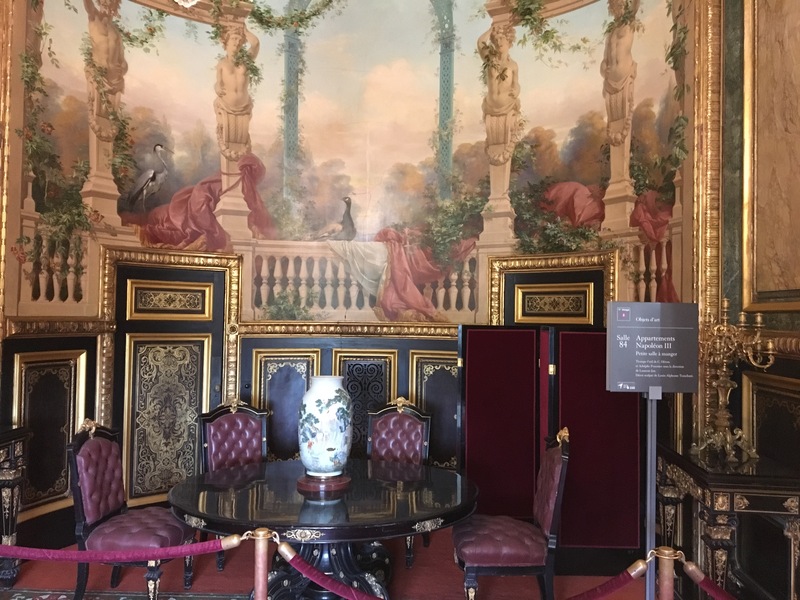 (Interesting fact, not only did Louis have a mistress, he built her a little palace on the grounds.) 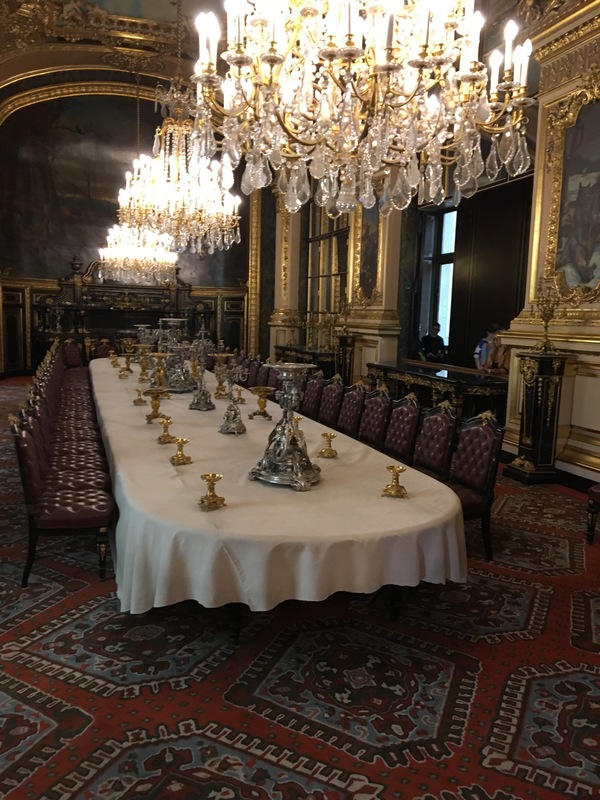 But by the time his grandson Louis XVI is occupying the place in the 1790s, it’s not hard to imagine why the common people of the revolution thought all this was just a little too much grandeur in light of what was going on around their dinner tables. 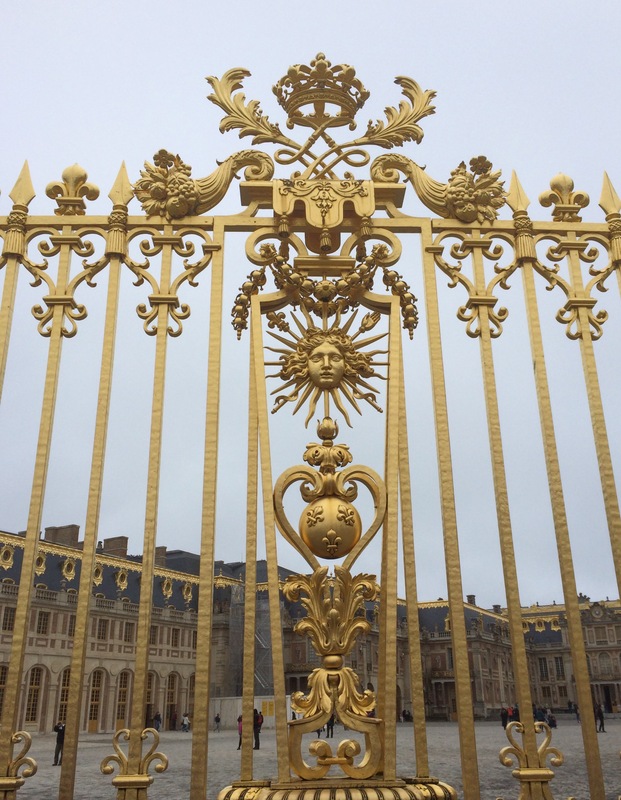 Of course, it didn’t help that Louis XIV thought of himself as the Sun King (illustrated by the fence). 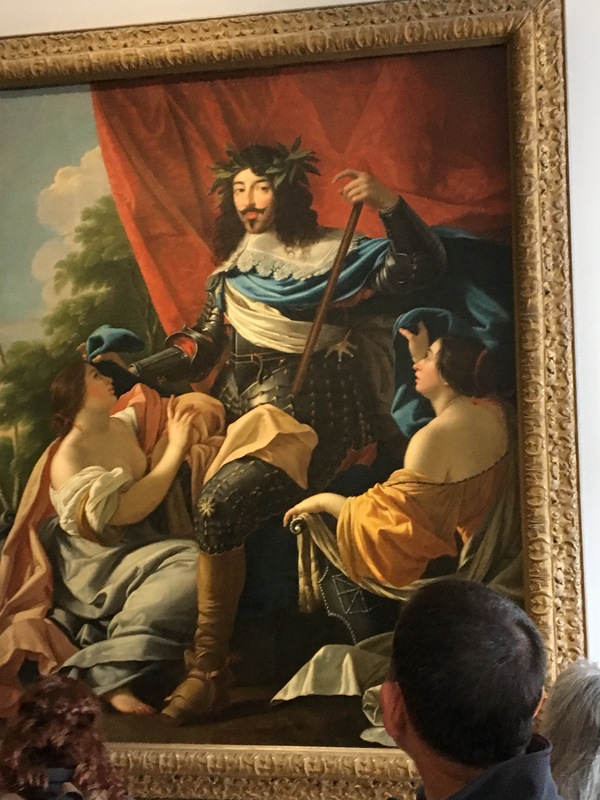 And the picture above suggests that Louis XVI was not exactly a model of humility. 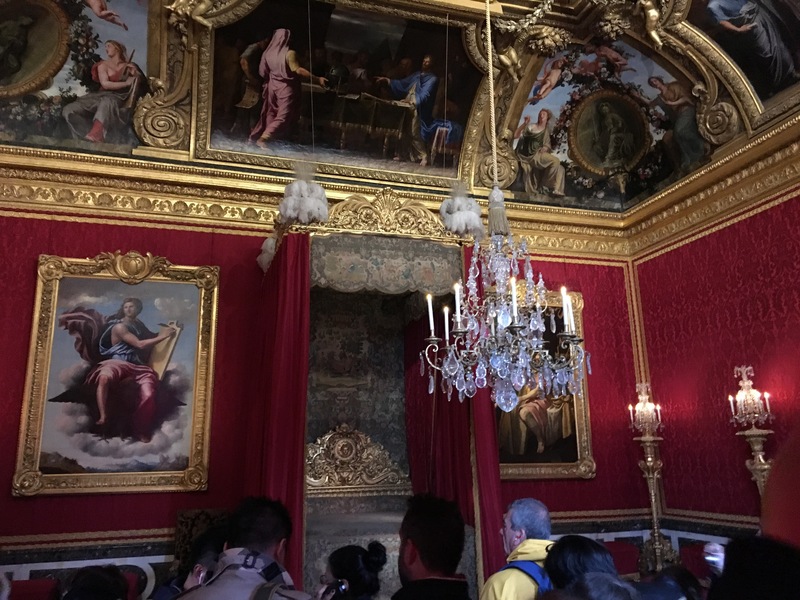 It doesn’t take much imagination to consider what the peasants thought when the entered Versailles and saw that bedroom (how does anyone sleep in there)? Regardless of what Marie Antionette did or didn’t say, the vast gap between the monarchy and the people created situations making bad outcomes for the Bourbons very likely. Not only did Veblen sensitize me to see conspicuous consumption everywhere I looked but I found myself resenting the fact that the displays I was seeing were supposed to put me in awe of their vast beauty. But I couldn’t get there. I just saw an ongoing social condition that I was being invited to ignore.